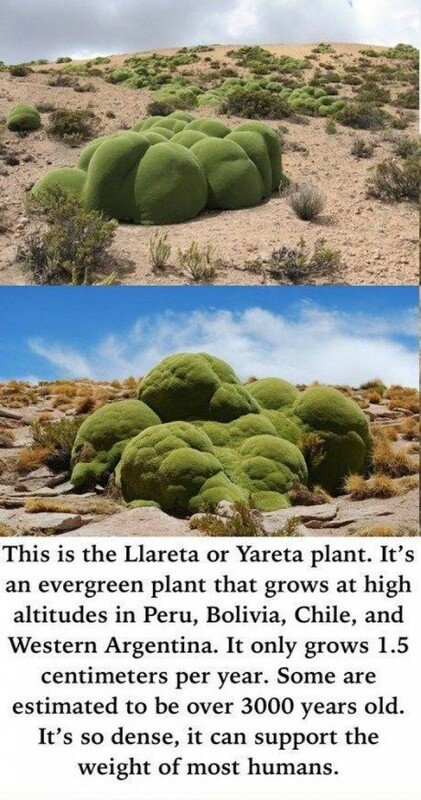 This is the Llareta or Yareta plant. It's an average plant that grows at high altitudes in Peru, Bolivia, Chile, and Western Argentina. It only grows 1.5 centimetres per year. Some are estimated to be over 3000 years old. It's so dense, it can support the weight of most humans.